Would you like to embrace your unlimited possibilities? This class includes a powerful spiritual clearing and activation that will help remove your energetic obstacles to maximum success. Combining this release with the Awakening of the Soul Enlightenment Codes brings you into alignment with your divine blueprint of your unlimited and unbound potential. The Success Codes are within a latent matrix of energy that will be activated after the old restrictions are removed and released. Your destiny is at your fingertips. Come release from the distorted matrices that hold you back and step into you full potential .Your divine destiny awaits. Kimberly Crowe facilitates the activation of your Success Codes within your Divine Blueprint. I invite you to join me to release the webbing of the mass unconsciousness. Register now to step into your destiny! .Who will benefit from this class? If you answer yes to any of the following questions, or know someone who could benefit by overcoming these issues, then this class could be a great opportunity! Are you having trouble finding love? Do you suffer from low energy or poor health? Greater wealth, health, joy and harmony in all things! Combining this release with the Awakening of the Success Codes brings you into alignment with your divine blueprint of your unlimited and unbound potential. The Success Codes are within a latent matrix of energy th at will be activated after the old restrictions are removed and released. The transmission process prepares the body for greater absorption of the solar light encodement so that it can penetrate through to your atomic core. Releasing the Inner Locked Magnetic Matrices free the morphogenetic stress webbing created from the wounds of humanity. That was held in place within our system from non forgiveness of shame and blame. By dissolving these vibrations you have a clean slate to co create from. Activation of the Success Code.brings you into alignment with the truth of your divine blue print. Free from sabotaging internal belief grids. The Success Codes have room to thrive. What is the webbing of the Mass Unconscious?. August 21,2007 I was working with a friend ,client, colleague sharing information and the web revealed itself to me.This is the original channeled information. 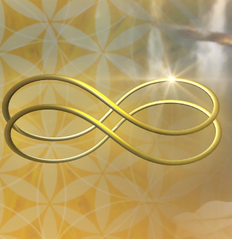 i invite you to tap into the energy of the frequency. .
What is this inner locked matrices ? Where and when were they formed and what was their purpose? They represent the wounds of humanity. The original chakra system acts as vortex energy. Emotional energy is funneled and absorbed into the human instrument. 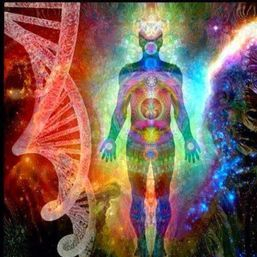 The emotional energies are flooded through the pathways that link your anatomical systems and organs and glands to specific chakras and levels of your energy body................click to read more. to experience the Spheres of existence within creation. from all of the realms. This will be an experiential class. This will take you to higher vibrations in all aspect s of your life.